Distractions are the leading cause of accidents on the road. It is quite popular these days to see warnings such as “Don’t drink and drive”, and “Don’t drive and text”, on TVs and internet. It is important for you to follow these rules. In the US alone, more than 330,000 people were injured on roads as a result of using the smartphone while driving. Make use of hands-free gadgets or avoid touching your smartphone while driving. If you are involved in an accident that is not your fault, you should contact an Attorney to prepare and make claims on your behalf, please view here for more details on this. If there is a vehicle in a rush, do not become obstinate and yield your right of way even though you have the right to refuse them entry. It’s better to let the bully driver have the way than involving yourself in a ghastly accident. Do not try to block the path of a car in a hurry by moving in front of them or impeding on their passage, if you do, you will increase your likelihood of involve in an accident. The seatbelt is one of the most important safety features you need to apply while driving. The seatbelt may seem to be insignificant but it can actually save your life. Make sure the airbags are in the working position. Seat belts can reduce your body movement especially when you ride over bumpy installations. Make use of the baby seat and fasten it to the car, if there is a baby or infant in your car. Every occupant in the car with you must wear the safety belts. Stress and fatigue can distract or reduce your speeding skills; hence it is better to avoid driving in such situations. Driving when you are fatigued or skill can reduce drastically, your response time, hence you become more susceptible to accidents. Similarly, if you are attending a party where you will end up consuming alcohol, you should contact someone else to fetch you from the party or take alternative public transport. Perhaps the most sensible thing you can do when the weather conditions are adverse is to drive slowly. In heavy rainfall and foggy conditions, driving at top speed could lead to the increase in the creation of a thin film of water in-between your tyres and that could increase the chances of your car skidding off the road. You need to ensure that your car tyres have the right air pressure. Excess-pressure or over-inflating the car tyres can cause a reduction in the area of contact of your tyres with the road, and that could reduce the depletion of rolling friction especially on wet surfaces. Heavy fogs may also reduce visibility; hence you may not accurately calculate the distance between you and the vehicle in front, hence you must learn to slow down. There are some blind spots around your car, and they are mostly located behind the pillars of the car and the back. 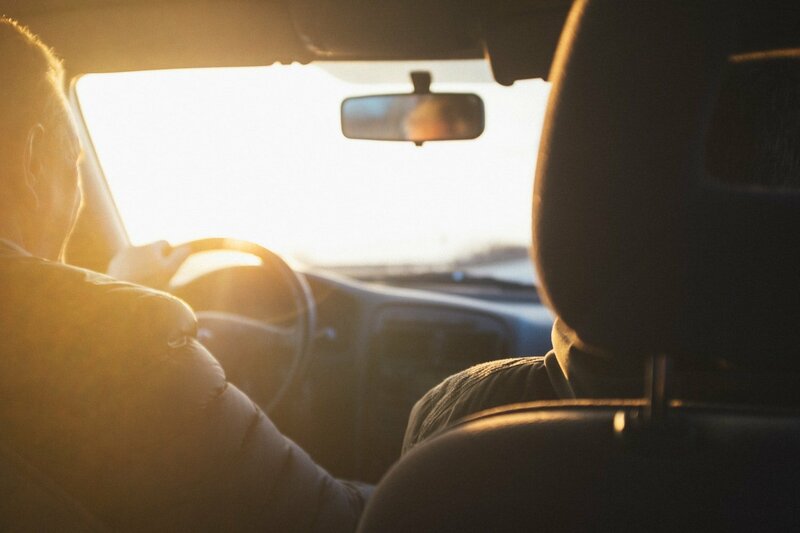 You need to be cautious when moving in the direction of these blind spots, especially when you are backing out of a car parking lot or when you are changing lanes. Checking out the rear-view mirror may not be enough to monitor blind spots accurately. Traffic from your rear usually approaches faster than you estimate, therefore you must maintain a sufficient amount of distance between your car and the one in front so that you can minimize the risks of a collision. We are all busy with one thing or the other these days, emergency situations such as running late to work or rushing to fetch your kids from school can make you drive under pressure which can also increase the risks of accidents. No matter how urgent your mission is, do not drive under pressure. You might be a very good driver who pays attention and follows rules on the road, but mechanical faults can undermine all these sometimes. Ignoring maintenance schedules of your car will expose you to potentially dangerous and expensive accidents on the road. Pay attention to the engine lights, Car tyre pressure, and faulty lights. Do not ignore any indicator light on your dashboard, it could save your life and your car from potentially dangerous accidents. The secret to staying safe while driving on the road is to ensure that your car is always in good condition, most especially the tyres, brakes and the engine. Proper maintenance is, therefore, your number one priority, to maintain an accident-free driving. Secondly, you need to follow all traffic rules, including the speed limit, failure to do this will normally attract a fine or a temporary suspension of your driver’s license. In many cases, accidents may not be as a direct effect of negligence on your path, in this case reporting the defaulter to your attorney will be the best possible way to ensure that the culprit is held responsible and you will also get compensated for any damage to your car, your body or to any other occupant of your car.